It’s hard to believe now, but there was a time – not long ago, actually -- when cupcakes were just a baked good among many. 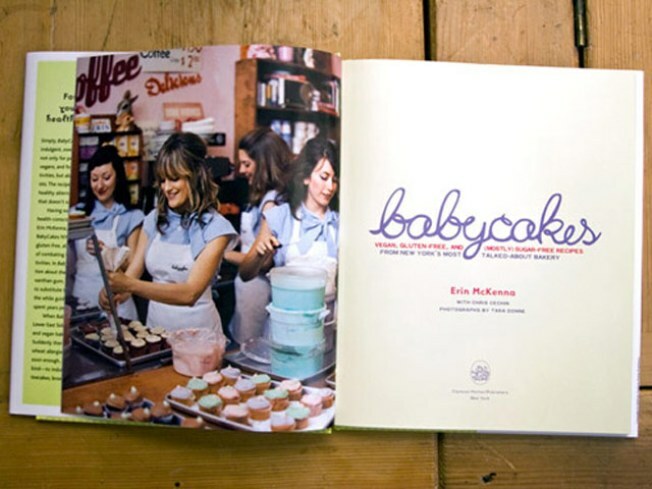 BabyCakes Bakery’s Erin McKenna was among those to fuel our current cupcake mania, after being diagnosed with wheat and dairy allergies in 2004 and realizing she’d either have to give up her beloved sweets altogether or find a delicious alternative. Today, McKenna will be at 92YTribeca to let you eat cake: Specifically, the vegan delights that have made her L.E.S bakery a household name – even in households where the word “vegan” is a punchline. McKenna will spill the secrets behind her award-winning treats (and share excerpts of her eponymous cookbook, pictured) at BabyCakes: Vegan Recipes from New York's Most Talked-About Bakery, two days before the grand opening of BabyCakes L.A. – yup, an Angeleno outpost opens this week, sending West Coast wheatophobes into a tizzy.